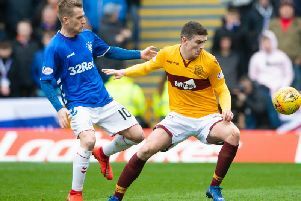 DANNY Swanson has an answer to those who believe Hearts are training their players too hard – compared to the life of a plumber, it is a breeze. But he admits the regime at Tynecastle has been a shock to the system since he joined the club in September until the end of the season. Never mind double sessions, players are expected to do triple sessions. Head coach Robbie Neilson aims to ensure no stone is left unturned in their pursuit of excellence. Sometimes this means Swanson is not home until after 5pm which is far removed from the popular portrayal of footballers whiling away long afternoons playing computer games. Swanson admits it was once like that, but not any longer. “At Peterborough, because the gym was so far away not many of the boys would go so we’d just head home and that would be it,” he said. “We’d spend time with our families, or play the X-Box and generally get bored. But Coventry’s training facilities are really good with the gym right next door to the changing room so we’d always stay back longer and sometimes go back out and work on our finishing. “Now I’ve got a wee boy,” Swanson added. “He’s past the crying stage but before I wouldn’t rush home. I try to get home before his bed now but sometimes that’s still 5pm. It is certainly preferable to the days before he signed professional forms with Dundee United after breaking through at Berwick Rangers. “I was a plumber before football and while I’m talking about 9-5 it was more like 7am to 6pm. It was brutal, I hated it,” he recalled. Swanson hopes the hard work will continue paying off this afternoon against Hamilton Accies as Hearts look to consolidate their second place position ahead of struggling Aberdeen, who host Dundee United. Swanson expressed surprise Pittodrie manager Derek McInnes is not making more use of his former Dundee United team-mate David Goodwillie. “I hope we can stay second but it will be a tough ask,” he said. “I think Aberdeen will come strong again and top six is still our priority this season. Darian MacKinnon and Lucas Tagliapietra return from suspension for Hamilton. Danny Redmond is recovering from a hamstring injury and is not expected to feature.